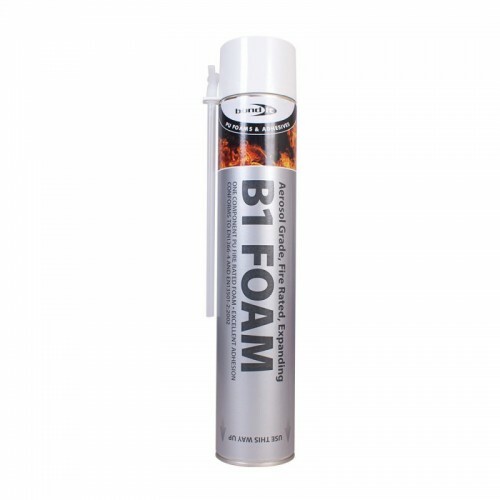 A high performance, polyurethane expanding foam, fire rated and tested to BSEN 1366-4 and BS476 Part 20 (the most stringent test for fire rated products). Seals irregular gaps and expands over 40 times its can volume. 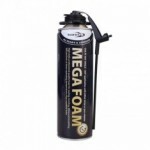 This foam can be used at temperatures from +5°C to +25°C. The cured foam is semi-rigid and predominantly close-celled. It is resistant to temperatures ranging from -40°C to +100°C and to ageing, but not to UV-rays. Noise and heat insulation values are excellent. 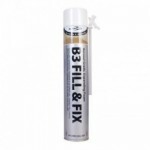 Available in gun grade or straw aerosol version. The fresh foam adheres to all common building materials except from surfaces such as polyethylene, silicone, oil and grease and similar substrates. Window setting (where a clean and controlled. Roller shutters (sealing of connection joints).